The Production of shale gas from the shale beds below Poole Harbour and Studland has the potential to produce millions of pounds for the local economy and provide hundreds of jobs. people have very different viewpoints. 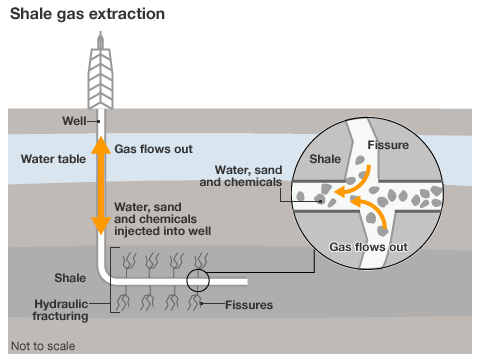 The process injects water, sand and chemicals into the ground under high pressure fracturing the impermeable rock which contains many small pockets of natural gas which can be used in power stations and homes. Identify a group of people and explain why they are against Fracking. Identify the risks and assess which risk is the most severe for Studland bay. Explain the links Fracking has with climate change and discus the risk this poses to the whole of the UK.